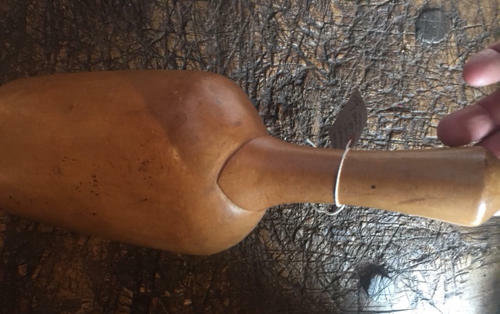 Very Fine 19th Cent Flour Scoop made from one piece of fruitwood. Has wonderful patina and the quality of the carving and attention to detail at the base of the handle is very fine. Amazingly has no chips.